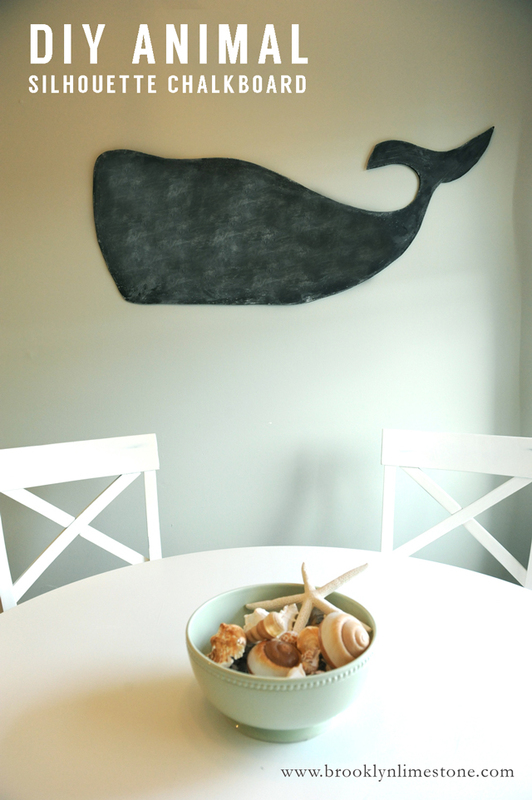 Blowing the dust of this weekend project for a flashback to an easy DIY animal chalkboard. I made a whale but this could easily be just about any animal under the sun. I'm planning on making another (after Blowhard's tragic demise courtesy of hurricane Sandy) but until then this post will have to suffice.